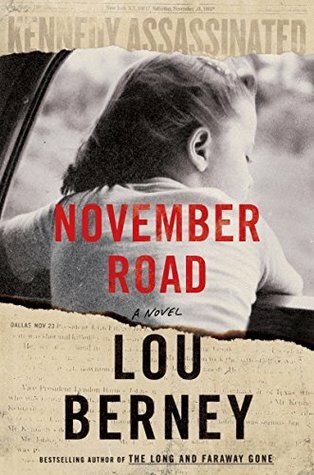 November Road by Lou Berney is a 2018 William Morrow publication. Carlos Marcello the head of a large New Orleans crime syndicate is behind the assassination of the president of the United States. Frank Guidry, is one of Marcello’s best guys, but Frank, unknowingly became a part of the assassination plan, which means he has become a loose end, meaning his days are numbered. Making a run for it, Frank encounters, Charlotte, a young mother who decided to leave her ne’er do well husband. Charlotte is having some car trouble, and winds up at the same motel as Frank. The two strike up a conversation and before long, the wheels in Frank’s mind start turning. Anyone searching for him would not be looking for a man traveling with a family. So, he offers Charlotte and her children a ride to her aunt’s home in LA. It is the perfect set up for Frank, until he realizes he’s put this young mother and her children in grave danger, and his once hardened heart, can’t bear the thought of that. As the couple spends more time together, Charlotte starts to care for Frank as well, and although, deep down, she senses something about him isn’t entirely on the up and up, she still puts her faith in him, remaining completely ignorant of her precarious situation. Frank’s time with Charlotte, under the strain of life on the run, facing his own mortality, has him contemplating a different kind of life, one where he could have a family of his own. Lou Berney certainly has a way with words. He also perfectly captures the shocked and grief- stricken mood of the country, building rich, dark, and conflicted characterizations, while keeping the reader on the edge of their seats with a palpable atmosphere of foreboding. This is another amazing story by Berney. I don't know how he manages to capture time in a perfect freeze frame, holding the characters still, right in that moment, where the entire world seemed to shift with JFK’s murder. The story is chilling, yet, has its moments of genuine pleasure. The road trip, the fraught romantic entanglements, and the inner thoughts of the characters, as they each reach a life changing fork in the road- as does the country is a stunning combination. There’s a new door opening on the one just closed, pitting the feeling of hope against the feeling of dread. Once more, for me, here is a mob figure I find myself liking, despite everything I know about him and the actions I’ve seen him take. Watching him transform was maybe a little bittersweet, under the circumstances, but it was also a big part of why this book ticks all the boxes. Charlotte is braver that she may appear to some readers, as in the early sixties, divorce was still stigmatized. I admired her tenacity, and the way her resolve strengthened, the more empowered she feels by the possibility of controlling her own destiny. This book is riveting, suspenseful, and so eloquently written, at times I thought my heart might skip a beat. Berney said he hoped this book would be ‘both hard to put down and hard to forget’ and I’d say he accomplished that goal and then some! 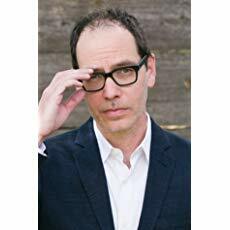 Lou Berney is the Edgar Award-winning author of November Road (coming October 2018 from William Morrow), The Long and Faraway Gone (2015), Whiplash River (2012), and Gutshot Straight (2010). His short fiction has appeared in publications such as The New Yorker, Ploughshares, the New England Review, and the Pushcart Prize anthology.